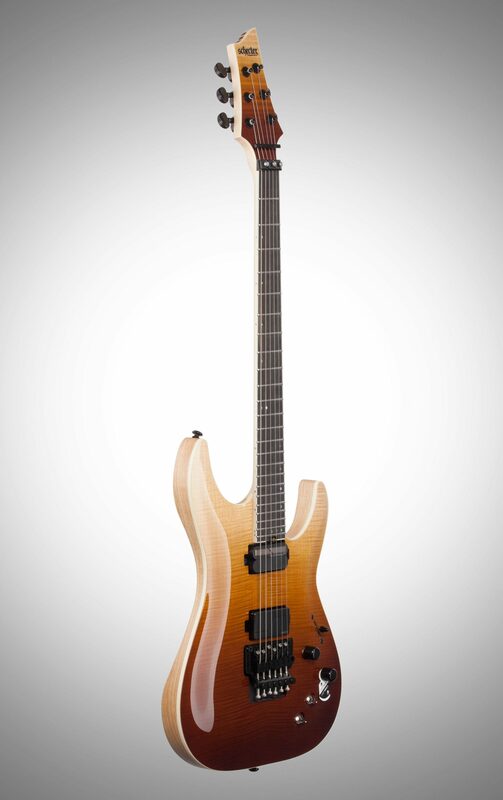 The Schecter C-1 FR S SLS Elite Electric Guitar features a beautiful Flamed Maple Arch Top and Swamp Ash body with their well known Ultra Access Neck-Thru design. 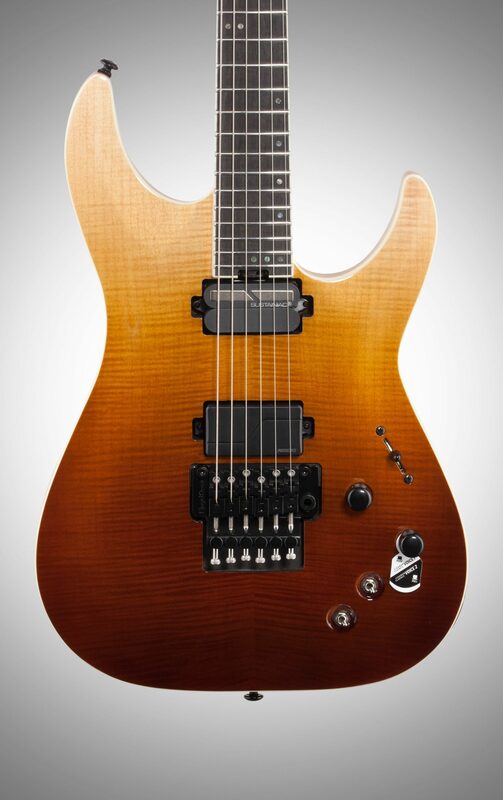 The Sustainiac Bridge pickup, Floyd Rose 1500 Series bridge and nut and Ultra Thin C neck profile with the Maple/Walnut/Padauk Multi-ply neck make this guitar a true shredder. Overall: I have been playing this guitar now for some time and despite some minor issues, I remain impressed with this instrument. For your info and as an example of my rating, I would rate numerous US-made, Custom Shop Fenders or Gibsons I have played somewhere between 1 and 3 stars. Consequently, giving this South Korea-made guitar 4 stars (overall) clearly reflects an uncommonly high quality of this relatively affordable guitar.Construction, design and intonation:In general, the satin-like finish, design, balance and ergonomics of this guitar are much better-than-average. 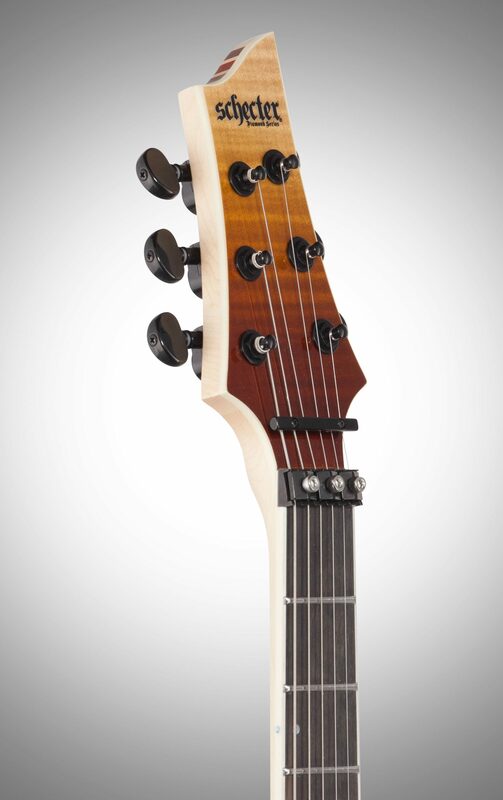 Its neck’s shape and thickness are very similar (at least I cannot feel any substantial difference) to those found in Ernie Ball Music Man JP models, which I really like, and the accessibility of higher frets in the Evil Twin is – due to its neck-through construction – even better! 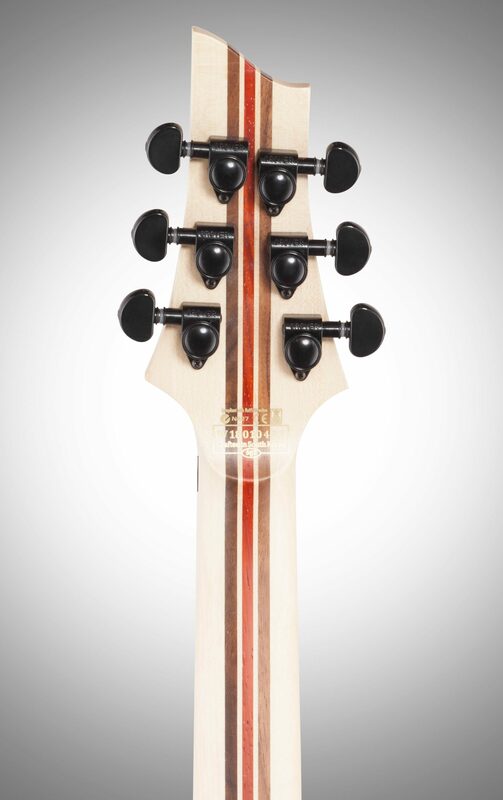 In addition, the slick, stainless steel frets of Evil Twin are very smooth, with no sharp edges and the ebony-fretboarded, graphite-reinforced, multi-ply maple-walnut-padauk neck plays really well with an incredibly low action and no buzzing. After I changed strings (I prefer the German Optima/Maxima strings) and adjusted the intonation, I was very pleasantly surprised how well this guitar can be intonated. In a nutshell, no matter what type of player you are, the playability of this very fast neck is second to none.Floyd Rose bridge:From my standpoint, one of the big pluses of this guitar is that its Floyd is very user-friendly to installing the EVH D-tuna. (Not all Floyds are so friendly in this regard.) Installing the D-tuna (which involves the elimination of the pitch-increasing function of the Floyd tremolo) is very convenient if you 1) play lots of tunes in drop-D tuning, 2) need to continue playing after you break a string during gigs and 3) want to change strings and tune your guitar VERY QUICKLY, which is close to impossible, if the pitch-increasing function of the Floyd tremolo is not blocked. Indeed, installing the EVH D-tuna in this guitar was one of the easiest out of many D-tuna installs I have done. Electronics cavity:The electronics cavity was only about 80%-painted with the conductive shielding paint and the soldering looked as if done by a 3-year-old, who never had a soldering iron in her/his hands before. When correcting these 2 little problems and unscrewing the pots (so that the control cavity could be fully re-painted to ensure proper shielding), the gentle manipulation resulted in the ground wires literally falling off the volume pot (obviously, the pot was not properly cleaned before soldering or not enough heat was applied, or both), which was not too surprising given the apparent very poor quality of the soldering job. Nevertheless, it was a piece of cake to fix these 2 little problems.Pickups:The sounds of Evil Twin’s pickups played through several different amps are outstanding. 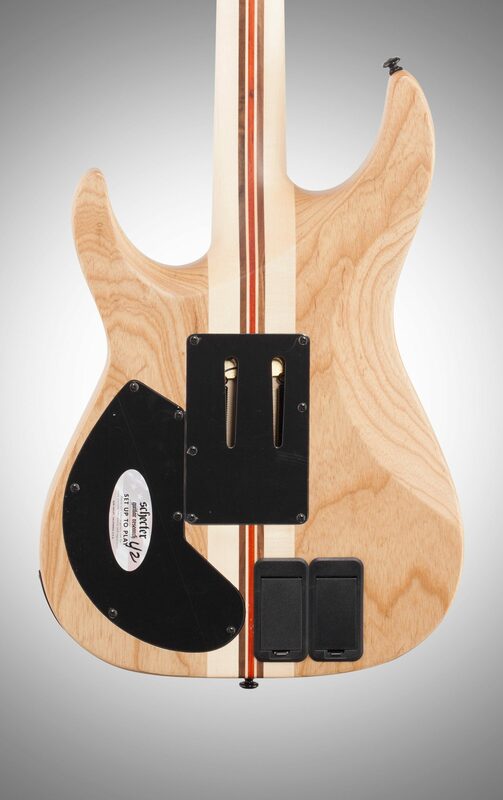 The ‘regular sounds’ of the sustainiac pickup in the neck position are somewhat reminiscent of the Seymour Duncan Jazz SH-2N pickup (which is one of my favorite neck pickups) and if you’ve ever played with the sustainiac pickup utilizing its controlled feedback sustain function – then you really never want to play without it! The Fishman Fluence bridge pickup also sounds great, although I probably slightly prefer the Allan Holdsworth KH12B (made by Kiesel) or Steve Stevens Rebel Yell (made by Bare Knuckle) in the bridge position. The guitar has a 3-way blade switch, sustainiac controls, one master volume and one master tone pot, which is “push-pull”, switching between 2 different sounds of the bridge pickup.My rating explanation:So why am I rating this amazing guitar only 4 stars after completing all my minor repairs/modifications described above? 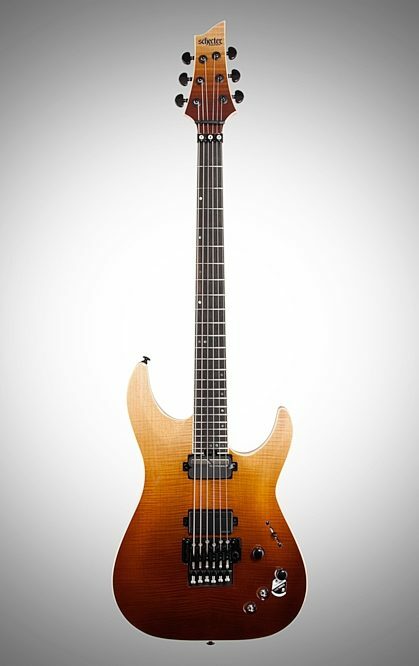 If this guitar 1) had an ergonomic scooped arm contour similar to that found in the Ernie Ball Music Man JP6 or JP16 models (this is not meant to imply that playing Evil Twin is somewhat awkward; merely, I wanted to suggest that theoretically and practically, the comfort of playing may be still increased), 2) was slightly lighter (my Evil Twin is 7lbs 6oz, which is definitely not ‘very heavy’, but I personally prefer guitars weighing around 6lbs or less) and 3) had a kill-switch – then undoubtedly, I would rate it ‘5 stars’. Typically, I replace the tone pots, which I never use, with kill-switches; here – if I want to preserve the 2 very useful sounds of the bridge pickup – I will have to acquire a push-pull volume pot to replace the factory-installed pot, before replacing the tone pot with the kill-switch. 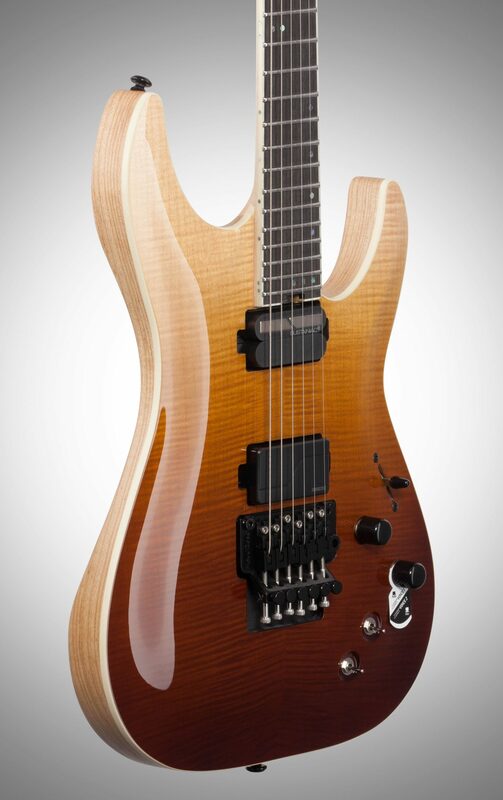 Of course, there is another possibility – to drill a new hole for the kill-switch.Conclusions:This is one of 10 best guitars I have ever owned; the remaining 9 being incomparably dearer custom-made instruments. 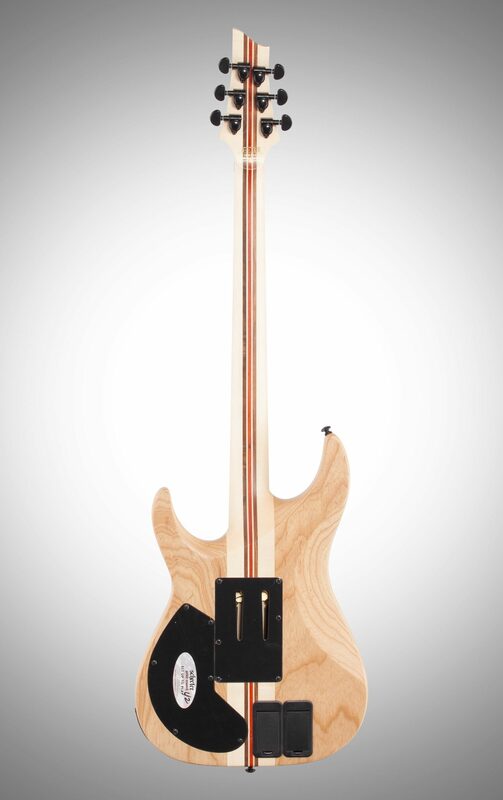 Kudos to Schecter for designing such a winner! "Another hit for schecter "
Overall: Bought both the black fade and antique the Fishman pickups have a great sound very good low end and highs , this sustainiac pickups don't seem to be as sensitive or carry as far as they do on my Gates custom s but still very functional fretboard is absolutely smooth great feeling neck fantastic guitar overall probably my favorite in my collection now..